If there is anything this war proved, it is that nothing can be achieved through war. Certainly, no war leads to permanent or lasting peace. Both India and Pakistan are now engaging in their mutual juvenility of celebrating their “victory” in the 1965 war. The very fact that even 50 years after the war, both sides can continue claiming victory underlines the reality that this war was a stalemate, a dull draw, though it cost a lot in lives and national resources. If there is anything this war proved, it is that nothing can be achieved through war. Certainly, no war leads to permanent or lasting peace. Even if one side wins, the other nurses its wounds and strikes back at what it sees to be the right time. In 1967, in the Six Day War, Israel achieved total victory over the Arabs. It also captured vast territories on the West Bank, Golan Heights and the Sinai Desert. But within six years, in what is known as the Yom Kippur War, the Arabs were back at its throat, this time better regrouped, war-gamed and equipped. The result this time was also different. Israel survived, but barely. There were days when it looked like the small nation would be run over, and it’s been widely debated by historians that it thought about using its undeclared nuclear weapons, in desperation. It was the Camp David Peace Accords, reached later, that produced lasting peace between Israel and Egypt, its most powerful Arab neighbour. In the Subcontinent, we have fought three major wars (1947-48, 1965 and 1971) and yet our basic issues remain unresolved, and both countries live in distrust and fear of each other. The inconclusive war of 1965 showed both sides the inadequacy of their military power in taking the issue to a conclusion even when it had the advantage. This applies to Pakistan in Chhamb-Jaurian so early on in the war, then in Khem Karan, and to India in the Lahore and Sialkot sectors, where initial surprise and local superiority did not translate into decisive gains. Both sides, instead of accepting the reality that their economies would never support an armament build-up that could do any more than defend their borders adequately, started building up for the next, more “decisive” war. As a result, India turned to the Soviet Union, which replaced Britain and France as our main weapons supplier. Disillusioned with America, Pakistan walked firmly into the Chinese camp. The unfinished business of 1965 led to the Bangladesh War of 1971. Sure enough, it was decisive and there is no debate as to who won. It did tilt the strategic balance in the Subcontinent and gave us more than four decades without a major war. But it hasn’t given us permanent peace. Pakistan and India continue to be hostile to each other. 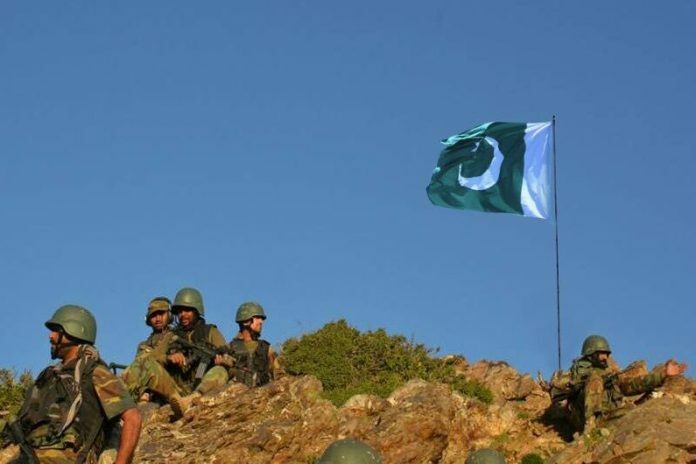 The bulk of our forces are still arrayed and war-gamed to fight what remains of Pakistan. At the same time, low intensity conflict of some sort or the other has now carried on, we can say, from 1982, since Pakistan started dabbling in our Punjab situation, and then in Kashmir. The golden jubilee of the 1965 war, therefore, should be a moment of reflection rather than celebration and mythologising. In their heart of hearts, both sides know that this was a War of Mutual Incompetence. Neither achieved anything. A fortnight into the war, both were tired in body and mind, short of ammunition or tactical ideas. This has been documented on both sides by honourable soldiers who fought each other. They are enormously more honest and certainly better informed than rival propagandists on both sides now building Goebbelsian mythologies. Wiser nations will move on. Pay homage to those who fought and sacrificed. Draw military-diplomatic-academic lessons from studying that war like any other. But don’t delude yourselves into fighting it all over again, in your twisted heads, and arriving at a conclusion that you wish it did. Because it ended 50 years ago, and it ended without any conclusion, except that wars do not solve anything.